After the Best4Biz Conference, join us for a celebration of the best businesses in East Sussex as nominated by ACES Chambers of Commerce and the FSB. The evening is hosted by Beverley Thompson and starts at 6.30pm with a drinks reception of world class Ridgeview sparkling wine followed by a three course dinner and films made by the media students of Sussex Downs College. After dinner, enjoy the sparkling wit of the UK's leading impressionist, Steve Nallon. Constantly in demand, Steve's amazing ability to capture not only the voice and mannerisms, but seemingly the essence of each of his subjects, has meant that he is as much in demand now as he was back in the 1980’s when, as part of the 'Spitting Image' team he delivered cracking TV satire to an audience of 15 million people. Today, Steve’s “Voice Bank” runs into the hundreds and includes politicians past and present, celebrities, actors, reality stars, TV personalities, cartoon characters, sporting heroes and everyone else in between. 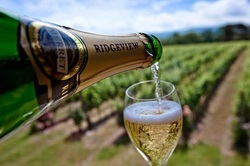 World beating sparkling wines will be provided by the award winning Ridgeview Wine Estate in Ditchling. This wine consistently beats Champagne in blind tastings and represents the best of viticulture in Sussex, so come along and taste for yourself. 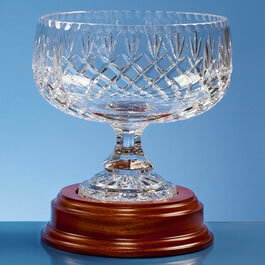 The drinks reception will be followed by a delicious three course meal and entertainment. Please email us here to let us know if you have any dietary requirements. There will be just one award after the dinner during which you will see short films made by the students of Sussex Downs College to showcase each nominated business. East Sussex National Hotel are offering a special rate for ACES members coming to Best4Biz. A double room for £75.00 plus VAT including breakfast and access to the gym, spa, pool, sauna and steam room. Why not book a round of golf on Saturday morning or a relaxing spa treatment? To book overnight accommodation at the reduced ACES rate of £75.00 plus vat per room, call 01825 880088 and quote WEAL151015. The room rate includes bed and breakfast for two people with free access to the gym, pool, steam room, sauna and spa area although treatments and golf are additional and should be booked in advance.